EBOLA HYPE! Why we need the facts on this crisis! Since the Ebola outbreak in May, there has been little news or information up until a few months ago when it exploded. Now it seems to be in our news feeds and conversations constantly with an immense amount of FEAR attached. No doubt this is a real issue and a serious crisis for those living in affected areas, but the extent and spread on a Global scale seems to be dramatically over publicised. I would like to focus on and hear the facts about such medical disasters. Thankfully through World Vision Australia and other we can learn about how practical measures are being taken on the ground. Pictures of the Deputy Minister of Health & Sanitation, Madam Madina Rhaman and other Health Practitioners putting on Personal Protective Equipment (PPE) provided by World Vision before entering the treatment wards at the Hastings Centre. I have personally lived through the outbreak of a possible pandemic. I lived in Mexico when Swine flu broke out in 2009. Schools were shut, shopping malls closed, we were house bound and forced to wear masks. It was quite frankly terrifying to have the city you are living in shut down with the fear of state and national borders closing. I fled at that time for the US and missed my last few weeks of the college semester and final moments with friends. The first death in the US happened in Houston, the very town I had fled to. There was then risks in NYC, I was also there. After I’d returned to Australia, a few months later, a friend contracted Swine Flu, we only knew after a week of staying together at the snow in the same room, when she went to the doctor at home. This was a HUGELY publicised disease and threat to global security – to the point where we still have machines in place to monitor our health as we travel. The situation was felt badly in certain areas and the fear of the spread went to all corners of the world. In the end, the health care was able to cope with the disease and the security measures seemed to work. I fear for Ebola, and for the nation of Africa, the media attention and scares placed on any travel will affect this country so greatly economically and socially for years to come. The whole of Africa has been tarnished with the same brush. The myths need to be dispelled and we need to focus on the facts. Zainab, 12, has been spending a lot of time with mum Finda, after her school was closed to prevent Ebola from spreading. This article from Seth Godin about the “marketing of Ebola” is brilliant and hit the nail on the head for me: http://sethgodin.typepad.com/seths_blog/2014/10/the-self-marketing-of-ebola.html. From the moment I started hearing updates, even when my father first told me about it, I questioned the extent of the media coverage on the disease. I have no doubt that this is a SERIOUS health concern and that people are dying in the masses from this. But instead of spreading hysteria across the western world about our family and friends going anywhere near anything, perhaps we could focus our attention on helping those who are affected. 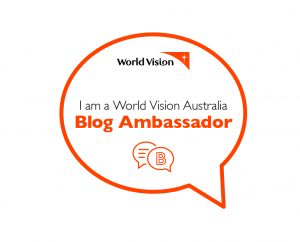 I am a big fan of the work of what World Vision Australia do and have support them for 10 years with two sponsor children. I’ve also been to visit two projects with them. I was keen to hear what they had to say and to get the numbers and facts from them, and it’s gravely different from what the media feeds us. So far 9,191 people have caught Ebola inSierra Leone, Guinea and Liberia, and 4,546 have died from the disease across those three countries. There are almost 3,000 confirmed cases just in Sierra Leone, with more than 900 people dying from the virus. Ebola is spreading in Sierra Leone at an alarming rate, with the number of new cases doubling every three weeks. This means that five new people are infected with Ebola every hour in Sierra Leone. World Vision Sierra Leone’s National Director, Leslie Scott making the official hand-over to Sierra Leone’s Deputy Minister of Health and Sanitation, Madam Madina Rahman. Medical Supplies arrive to help combat the Ebola outbreak. World Vision is working with the United Nations, World Health Organisation and other agencies to try to halt the spread of Ebola, and care for the children who have lost parents to the virus. To stop the spread, World Vision has diverted its energy away from the normal work carried out in Sierra Leone, and focused on educating and training healthcare workers, and preventing transmission. A biq question that continues to be posed by our nation is? Are Australians at risk of getting Ebola? Although there have been confirmed cases of Ebola in the US and in Europe, there have been no confirmed cases of Ebola in Australia. Fortunately, Australia has a robust border protection system and the infection control mechanisms in our hospitals are first rate. It is critical that this outbreak is contained. No. Our question is “How will this affect me”? Of course we feel this but I want to focus on seeing Africa survive and prosper through this difficult stage. To get help to the most affected areas and solve the problem at the root. Ebola virus disease is a serious illness with a mortality rate of about 50 percent of infected people. It spreads through human-to-human contact, with the first transmissions in outbreaks generally coming from wild animals. Ebola is transmitted through direct contact with blood or other bodily fluids of infected people, or with items such as bedding that have been in direct contact with the victims themselves. It cannot be spread through the air. Health care workers have sadly contracted Ebola while treating patients, and the virus has also been passed on during burial ceremonies when custom dictates communal washing of the body. I hope that we can start focussing on these facts. Looking at ways to support communities and stop the spread of disease instead of cutting off this country and bordering off the entire continent. Let’s stop the hype, get educated and take the next steps to supporting those in need.